Ann Humphry’s suicide in 1991 made headlines worldwide. One of the reasons her death was so compelling was her allegation, in her suicide note, that she was driven to kill herself by her husband, Derek Humphry, co-founder of the Hemlock Society and author of the number-one best-seller Final Exit. In Deadly Compassion Rita Marker relates the explosive details of this tragic death and the dark side of the euthanasia movement. 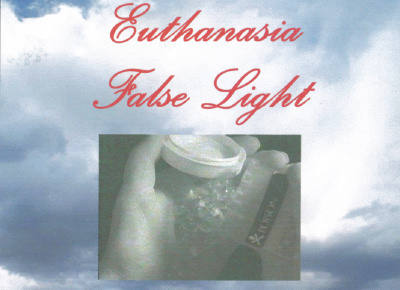 Combining the shocking, true-life story of Ann’s despair and suicide with compelling arguments against ever allowing the legalization of euthanasia, Rita Marker has written a book that is disturbing, moving, and thoroughly convincing. Rita Marker tells Ann’s account of her life with Derek Humphry: from their happy times together co-founding the Hemlock Society to his leaving her after she was diagnosed with cancer. Here is the story of Ann’s terrible guilt after she and Derek helped her parents kill themselves – with Ann smothering her mother to death with a laundry bag when the pills didn’t work – and her belief that Derek would allow her no grief and no remorse. And here, too, is the story of a remarkable friendship. 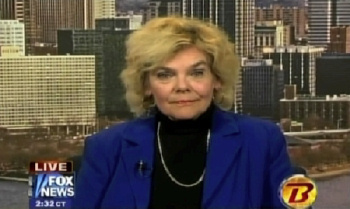 When Ann felt alone and abandoned, she turned to Rita Marker – having known Rita only as her most vocal opponent on the subject of legalizing euthanasia. In Deadly Compassion, Rita Marker also explores all of the issues surrounding euthanasia – and some of the most famous right-to-die cases. She discusses in depth the career of Jack Kevorkian, who has written articles advocating medical experiments on death-row prisoners – while they are still alive. And she explains the ramifications of euthanasia in a country without adequate health insurance, like America, where people who really want to live might choose death rather than bankrupt their families. Deadly Compassion is essential reading for anyone who has misgivings about giving doctors the right to kill. it is also the story of the senseless death of a sensitive woman who discovered that her life’s work was a dreadful mistake – and who believed that the man she loved wanted her dead. 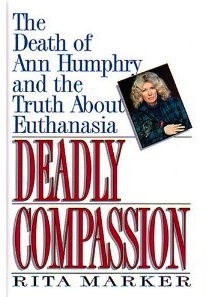 Deadly Compassion by Rita Marker (William Morrow, 1993; Harper/Collins, 1994; Avon, 1995) is available in most public libraries, from Amazon.com, or can be ordered from the Patients Rights Council.